Take one jalapeno. Dice it and saute it on a pan for a couple of minutes. Place 1/3 cup low fat cottage cheese on an Ezekiel wrap, then top it with 1 tbsp nutritional yeast, diced jalapeno, shredded chicken breast, and kabocha squash. 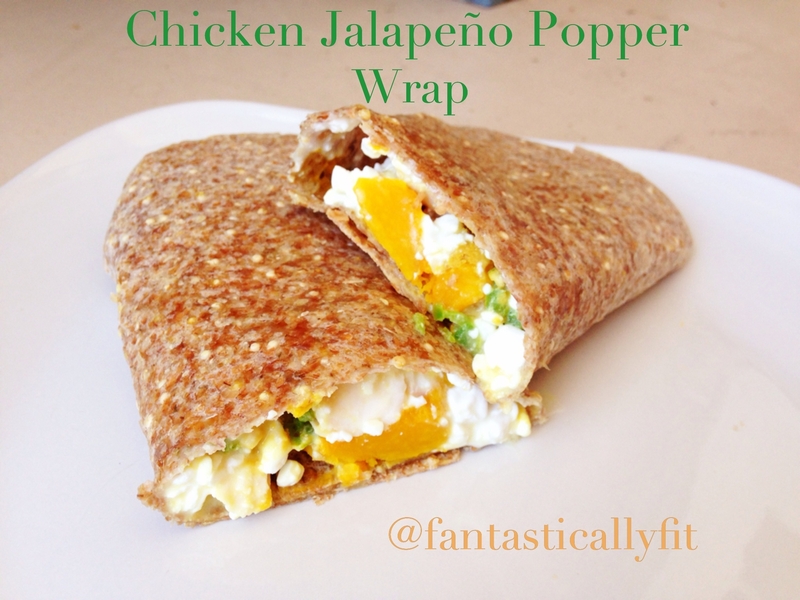 Roll the wrap and cook an a pan for couple of minutes on each side until warm!